Charles Blessington is an official with the Ministry of the Treasury. Mr. Blessington, for he is never referred to any other way, is a man fairly along in years, being around 50 when the series begins, who has worked for the Ministry for many years and rather enjoys the routine dullness of his job. He has no aspirations for the gray world of cloak and daggers but ends up involved nevertheless. His office in Whitehall is a drab, gray little room on the ground floor which doesn't give much of a view but is easy to get to. A "dumpy little man" is the way most people who do not know Mr. Blessington think of him upon first meeting and it is a very correct assessment, at least outwardly. He makes no special effort to dress for effect, wearing the grayish, plain suits he can, and he would look confused if you suggested anything else. He dresses as nice as is needed and no more. That sums up the attitude this very prim man has about such things. In the Treasury his expertise in several areas is known and appreciated but because of his failure to promote himself, the top brass know of him but he remains a middle management official. The ways he gets involved are usually interesting and oddballish, but never ridiculous. He doesn't just "fall in" but neither does he leap in. Being a considerably logical man, he thinks things through and then acts on them. He routinely sees clues that others do not and that they discount when presented, leaving him to see things through himself. He is not so much brave and daring as determined and not a little stubborn. Being a sedentary man of some years, he never comes across as particularly dangerous to either friend or foe but his intelligence and tenacity and plain common sense prove how deadly he can be. And he can act with deadliness when he absolutely has to but invariably will blame himself for it later, A perfect example of this is in a conversation with an Inspector from Scotland Yard about a previous matter about which the officer congratulated his work and the neat way he tied everything together. Mr. Blessington responded, "Neat? My deat Inspector, it was far from neat. I have always reproached myself bitterly for strangling that poor fellow in the railway yard. If I had not bungled matters it would not have been necessary." 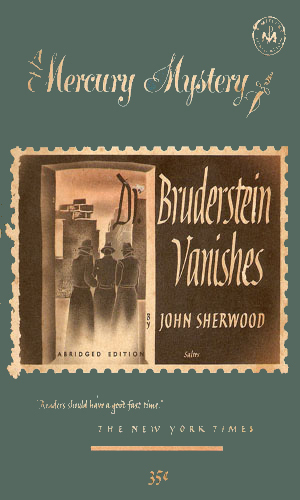 When a man being kidnapped manages to pass on a cryptic message to an unsuspecting Mr. Blessington, it introduces the Treasury man into the world of internation intrigue and the search for Nazi gold. Evidence points to Charles Blessington dead from a gunfight with police, or dead in a plane crash, or dead from secret killers. But if Mr. Blessington were still alive, he had to be found before he could start an international incident. 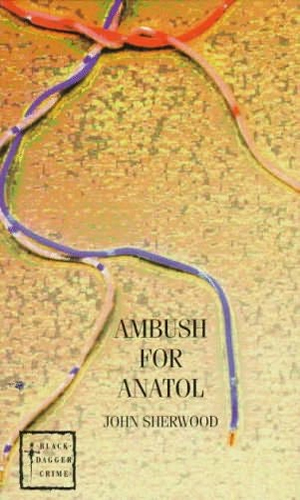 Anatol was like a magnet, pulling people from a wide reach, disparate circles with a connection only Anatol understood. Mr. Blessington is determined to figure it out, if he can survive the kidnapping and murder Anatol leaves in his wake. The death of an MP from a remote region is thought an unfortunate accident until Mr. Blessington starts to suspect murder with interesting results. 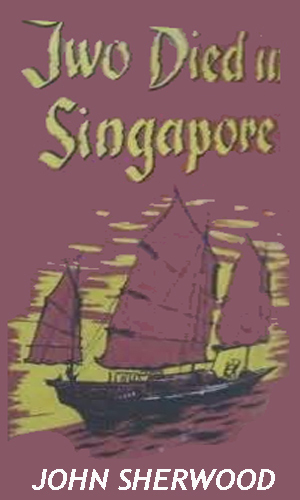 Charles Blessington was tired of being in Singapore and wanted to go home from his temporary assignment. Then someone he knows is murdered and suddenly he determined to stay. This is a darn good read. 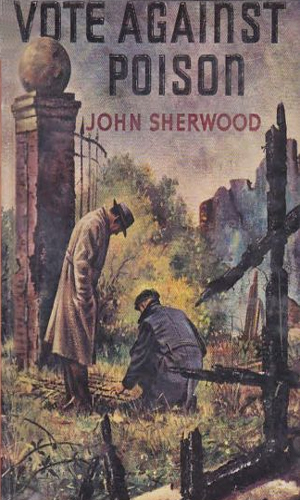 One of the first series in the time period for this collection, it is a great microcosm of that immediate post-WWII era and for that reason alone should be enjoyed. But more, the author is capable of setting moods and scenery simply and efficiently. He throws in enough historical observation to make the events plausible and understandable. His descriptions of post-war Germany were a great eye-opener and have even greater meaning in these post-Iraq days. 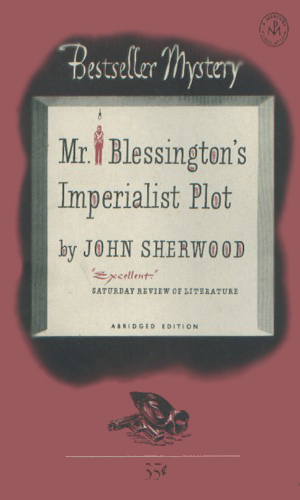 And the character of Mr. Blessington was a hoot. He is earnest, steady, very intelligent, highly observant, and no spring chicken. He is what I would like to be when I get to be his age .... probably next year.